You don't have to spend much time and money to get great pictures! 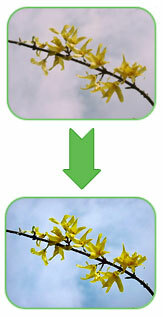 Since PhotoCleaner has been introduced in 2001, it became one of the most popular "one-click" image enhancement tools. * Not available in Basic version.